The University Rover Challenge (URC) awarded the title of World’s Top Mars Rover to the PCz Rover Team from the Czestochowa University of Technology in Poland on June 2. 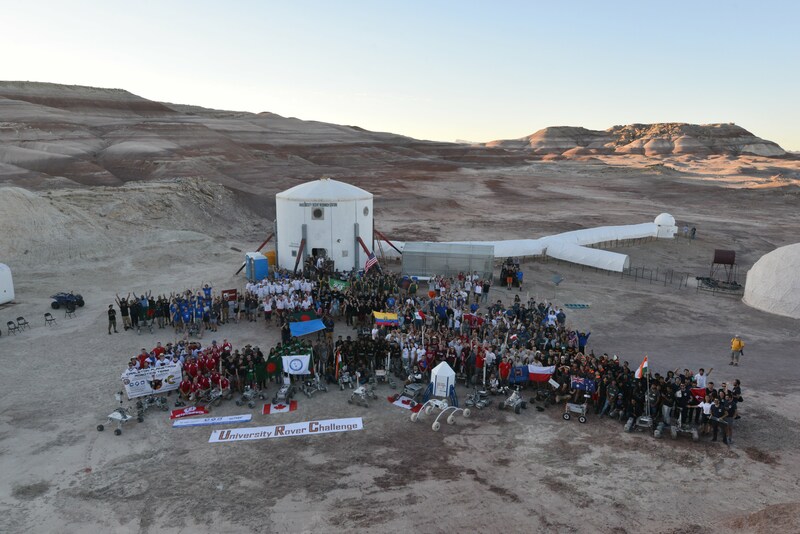 The 2018 rendition of URC hosted 35 rovers and more than 500 students from ten countries at the Mars Desert Research Station (MDRS) in southern Utah. URC is an annual Mars Society competition which asks college students to design and build the world’s best Mars rover. The scores for all teams can be found at http://urc.marssociety.org/home/about-urc/urc2018-scores. For more information, visit URC online at: http://urc.marssociety.org, on Facebook (https://www.facebook.com/universityroverchallenge), and on Twitter (https://twitter.com/URConMars). In addition, a full review of this year's URC competition will be presented at the 21st Annual International Mars Society Convention (August 23-26, Pasadena Convention Center).